House of Marley, Positive Vibrations Rasta Headphones, Who needs Beats? As little as a couple of years ago, most people used the headphones that came with their MP3 player or Ipod and replaced these as cheap as possible on a near enough monthly basis due to wear and tear. Today we find ourselves engulfed in a market where headphones bring in astronomical levels of revenue and having the latest and greatest headphones is far more important! When I first stretched to £50 for a set i couldnt believe the amount of money i was spending, but now with Beats and other such brands, we find that most options are above the £100 mark and can range up to £500 or more. Dr Dre’s Beats, Ludacris Soul range and 50 Cents SMS Audio are to name but a few of the most recent high end headphone designs that are functional as well as a fashion accessory to many. But if your not willing to spend hundreds of pounds to enjoy your music ? What should you do ? The House of Marley, another headphone brand based on the principles of questionably the biggest musician of the above 3 can act as a reasonably priced replacement. Whilst the House of Marley does also have headphones in the same price range, some of their cheaper ranges are remarkable in terms of quality and style. I picked up these headphones for £50, and for that price the sound quality is excellent and is far more impressive similarly priced products. The aluminium and cord used in the manufacture dont only add to the design and durability but also increase the performance of these headphones in their own way The House of Marley, as you may have guessed from their name bearer, are also very keen on the environment. This means that all of the packaging for the products are recylced and the manufacture of their products have as little an impact to the environment as possible. A very admirable stance, especially in todays economy as this isn’t always the best way to maximise profits. 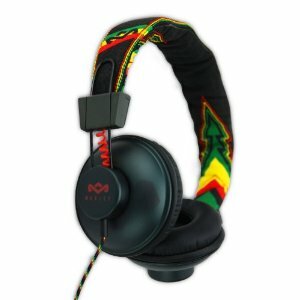 If you would rather save a few bucks and stray away from the crowd, Definately check out the House of Marley, these headphones dont let down in style or performance! Jelly Bean ! Android 4.1, first thoughts ! Nintendo 3DS, Success or Flop? I agree upon the point in buy good quality at a lower price, to me Beats headphones are nice but just another fashion statement gone too far. Great review! Agreed, Beats are fantastic don’t get me wrong but not THAT good for the extravagant price. Cheers ! I’ve gotten these headphones, they do perform quite well at an amazing price. My friends with Beats were struggling to defend their 200$ purchase against these when we compared. Pokemon Go -Niantics Secret Weapon! PS4, Sony’s way back to the top ? or is the Xbox One the way to go ? Follow and Share please ! Tags ! Find something you like and have a click! It's 2014. Aren't you a little old for video games? Whats the big deal with Social Media? В този блог периодично ще ви запознавам с преживяванията си по време на изучаването на тайните на ситемното програмиране ..